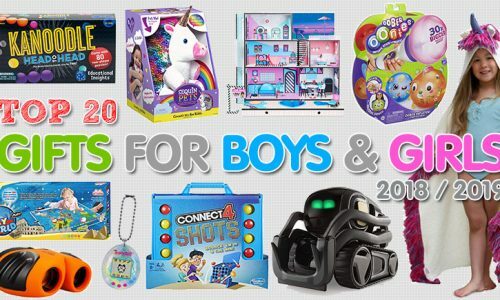 Shopping is always fun – except when you’re in the middle of the store or searching online and you draw a complete blank on what to buy. There are some gifts that are always appreciated and many that will leave the receiver beautifully surprised. One of the categories where you can find that perfect gift for someone you care about is in jewelry – especially watches. Not only are they attractive, but functional as well. Not only can watches be worn for any occasion, but a beloved luxury watch can often be passed down from generation to generation. You can find these watches in different colors and made of a variety of materials. Some watches can have a special meaning, depending on the type that you buy. For example, if you’re looking for a watch for a flying enthusiast, you can purchase a watch that’s made from the parts of an airplane. Watches that are customizable to the wearer are always appreciated as gifts. 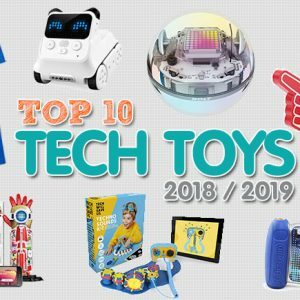 You can even find ones that combine today’s technology with beauty, such as watches that work in tandem with smart phones to give you notifications of email or phone messages. 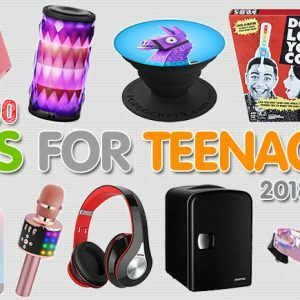 Most of these are going to be toward the high end when it comes to cost, but they’re well worth the price. 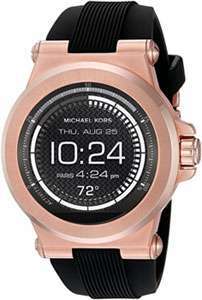 You can find one of these in the Michael Kors Access Touch Screen Black Dylan Smartwatch MKT5010. Some luxury watches look great with any style of clothing, but are also extremely durable. If you want to buy a luxury watch for a man who’s always around water or likes to go sailing, you’d want to get one that’s waterproof. For that, you’d probably want to look at what’s called dive watches. You might think that a dive watch would be big, bulky and just unattractive, but that’s not the case. These watches are attractive as well as functional. The cost will vary. You can find some very expensive ones and you can find some budget friendly luxury dive watches like the Henry Jay Men’s Analog Quartz Two Tone Stainless Steel Aquamaster Dive Watch. For women, jewelry like watches become a fashion statement. You can find watches that match the color of almost any outfit. Plus, some of them look like bracelets and the bracelet pieces can be swapped out. 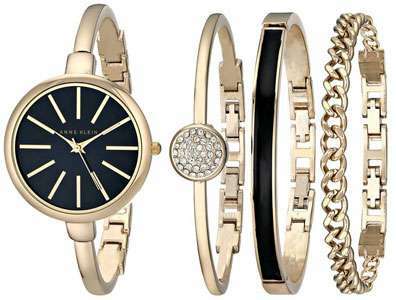 If you want to get an idea of what one of those looks like, then check out the Anne Klein Women’s AK/1470 Bangle Watch and Bracelet Set. There are also plenty of watches that have interchangeable bands and even decorative rings that you can place around the face of the watch. Diamond ones like the Carlien Women Luxury Brand Series Austria Diamond watch make a great gift. There are lovely jeweled watches that are considered luxury watches as well as simple ones that are still high end. A lady’s watch is practical as well as beautiful. There are dozens of different types of jewelry that you can give that would put a smile on someone’s face. When you give diamonds and fine jewelry as a gift, it’s a thoughtful way to shower someone you love with elegance as well as an investment for their future. 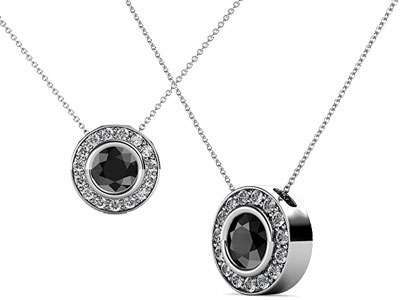 Everyone loves jewelry and diamonds are a classic, timeless gift. Giving diamonds and fine jewelry is giving the kind of gift that can be worn for any occasion – whether it’s dressing up or dressing down. The brilliance of diamonds never wanes despite the passing of time. You can find diamonds and fine jewelry that will fit any budget. You can also find pieces that have special meaning – such as diamond necklaces with certain words or a name spelled out. You can find symbols and jewels in fine jewelry. 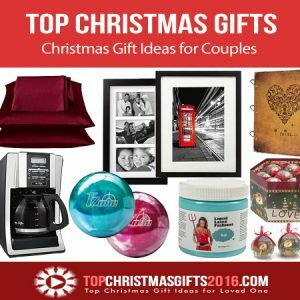 These customized pieces carry even more meaning for the person getting the gift. You can get earrings, rings, necklaces, bracelets, toe rings, ankle bracelets, and more. The good thing about jewelry is that it’s not the kind of gift that’s limited to a certain gender or age level. 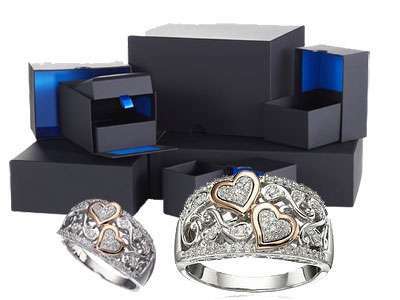 You can buy fine jewelry for men, women, teens and even for children. 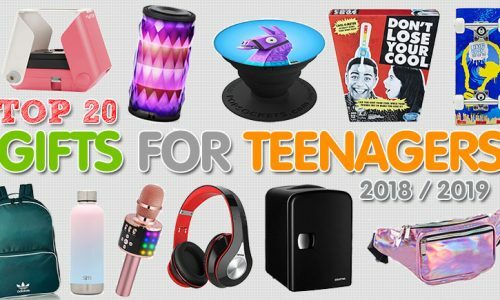 Regardless of the age of the receiver, you can find something to please everyone on your shopping list. 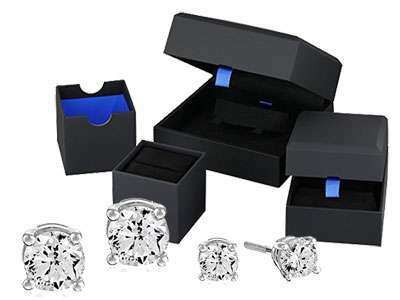 Earrings are very popular jewelry gift items and diamond studs are worn by both men and women. The 14k Diamond with Screw Back and Post Stud Earrings is a good choice to give as a gift. 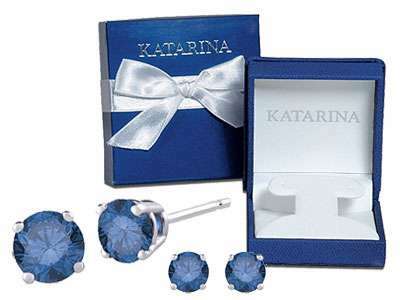 But if you’re looking for something with a little color in it, then you’d want to check out the Katarina half carat Blue I1 Round Brilliant Cut Diamond Earring Studs in 14K White Gold. If you look, you can find matching necklaces for the earrings. When you give jewelry and you buy a matching set of earrings along with a necklace, it looks more opulent – but still won’t break your budget. For people looking for the newest arrivals in fine jewelry in the necklace category, pay attention to what TriJewels has recently released – such as the Black and White Diamond Circle Halo Pendant 0.68 cttw in 14K White Gold with 18 Inches 14K Gold Chain. Rings to give as a gift that symbolize couples or everlasting love would be something like the Sterling Silver and 14k Rose Gold Diamond Hearts Ring. What you want to do before you buy anyone you care about jewelry as a gift is to first find out what their preference is. Some people prefer long necklaces over short ones and when it comes to earrings, some people like the smaller ones versus hoops. Some people like white gold or platinum over the yellow-toned gold, and some prefer silver. There are some people who can’t wear jewelry because they’re allergic to the various metals. 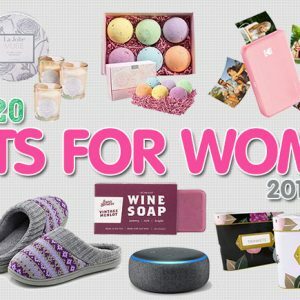 But you can still find nice gifts to give for those loved ones. One of the best ideas to give someone who can’t wear jewelry is either a handbag or a wallet. Everyone uses one – or sometimes both of these items. And while you can find a ton of them that look pretty durable, you can also find ones that are stunningly beautiful. You can also find some that are quirky or feature works of art suitable for any personality. When it comes to these items, you want to pay attention to the workmanship. 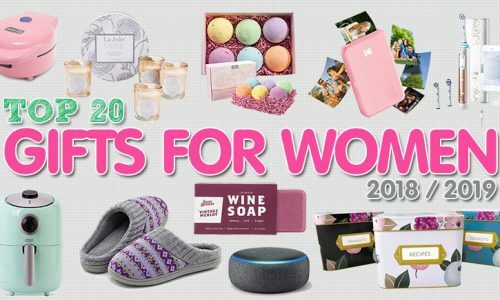 Sometimes, you can find some costly items that are made to last but other times, you can find moderately priced handbags and wallets that are equally as good. Leather is a natural material that usually holds up well when it’s used to make handbags or wallets. You can get the patent leather for these items, but keep in mind that shine will dull. One of the upsides of wallets or handbags made from this is that if they get wet out in the rain, it won’t hurt them at all. You can also find suede pieces in handbags and wallets, but you can expect to pay more for items made from this material, since it tends to be more high end. The downside to this material is that it’s not nearly as durable as leather. It all depends on the type of suede that’s used in the making of the product. If you get suede wet, it can leave a spot that may never resolve. Pay attention to the brand names when you’re selecting handbags. Most of the brand names signify quality work. One particular brand that you can trust where you can find some great leather handbags is the Michael Kors collection. 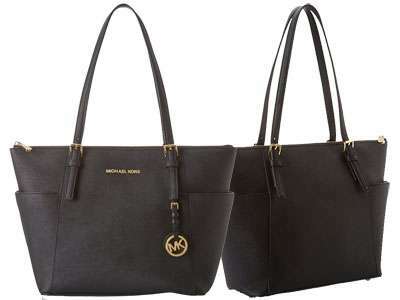 One of them – the Michael Kors Jet Set Top-Zip Tote – is popular as a gift item. 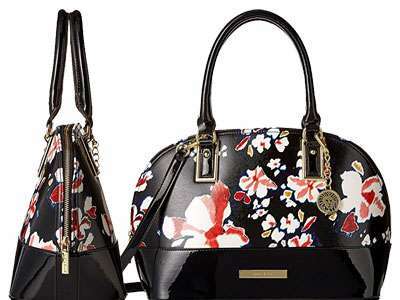 Anne Klein is another good choice and some of these handbags have beautiful designs like the Anne Klein Shimmer Down Dome Satchel Bag, which features flowers on the sides. For wallets, you can find front pocket designs like the DASH Co. Premium Slim Wallet for men or the SERMAN BRANDS- RFID Blocking Bifold Slim Genuine Leather Thin Minimalist Front Pocket Wallets. Most people use some sort of fashion accessories. Among the most often purchased items are things like sunglasses, scarves, umbrellas and hats. 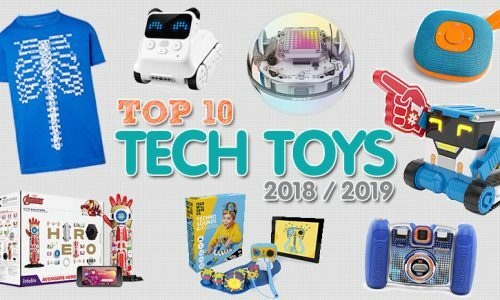 While everyone uses these items, they don’t often think about getting something that’s top of the line or particularly attractive. Most people just go with whatever is functional and falls within the budget parameters. 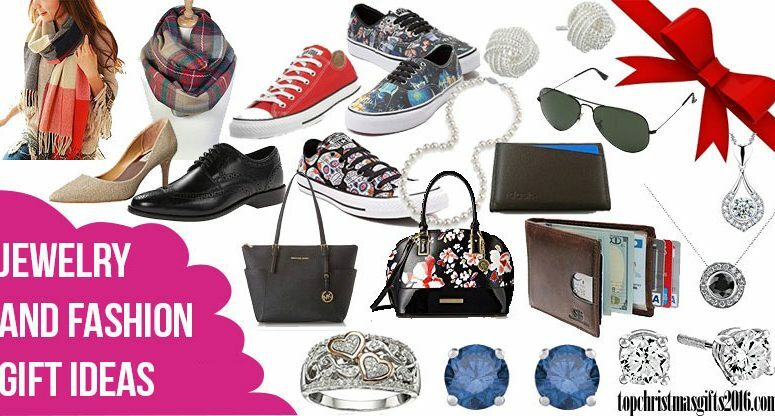 But you can choose a nice fashion accessory gift that will surprise and delight whoever you give it to. 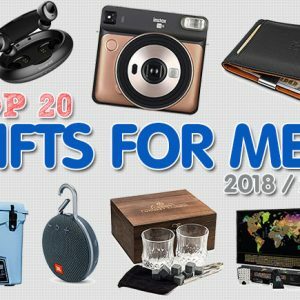 Since sunglasses are one of the top, most universally needed fashion accessories, starting there when choosing a gift is probably the wisest choice. 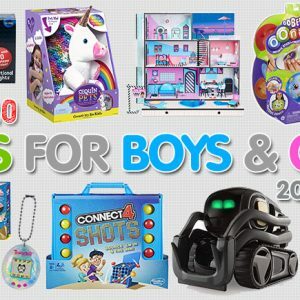 You can find sunglasses for men, women and children. You can get the elegant ones, or ones that are whimsical and some are even patterned after characters. One of the most popular selling brands for men’s sunglasses are Ray Bans. These glasses have seen long standing popularity because they’re durable and they look good. They can be expensive, depending on the style that you choose. 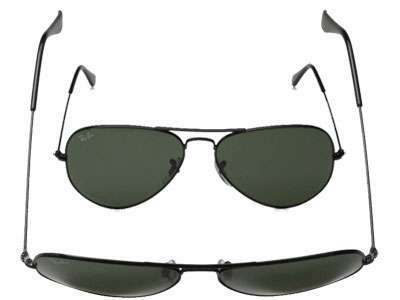 One of the most often purchased pair are the Ray Bans that are the Aviator RB3025 Large Metal Aviator Sunglasses. A scarf is a functional, stylish fashion statement. You can wrap it around you and have the ability to keep the wind, rain or sun from your face, while adding a touch of style to your attire. 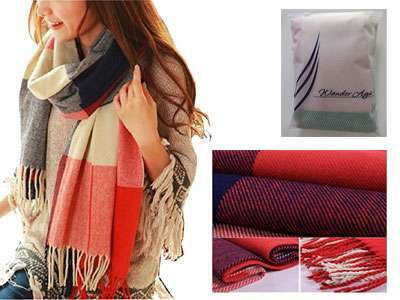 You’ll find a lot of variety in the color, pattern and design of scarves. The Scarfand’s Plaid & Tartan Infinity Scarf is a pretty choice – and so is the Wander Agio Women’s Fashion Long Shawl Big Grid Winter Warm Lattice Large Scarf. One gift that is most often overlooked with fashion accessories is the umbrella. 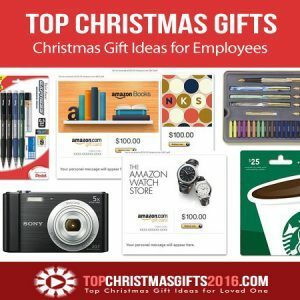 These are always a good choice as a gift because you can find these in bright colors or with breathtaking designs. There are umbrellas featuring animals, princesses, flowers, lace, the night sky and even characters from popular TV shows. Shoes make a fashion statement today. Whether you wear sandals or boots, high heels, men’s dress shoes or quality sneakers, you’ll discover that over the past few years, the style of shoes you can buy has grown in number. Shoes never go out of style – and some people not only own dozens of shoes, but they can’t get enough of them. That’s why giving shoes as a gift is such a great idea. If you’re shoe shopping for a woman, you want to look at both comfort and design – especially if it’s a high heeled shoe. 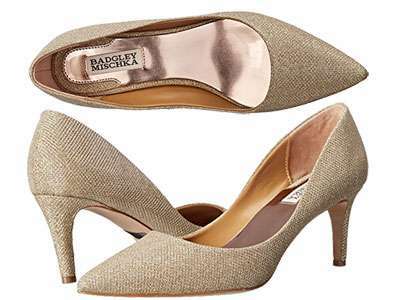 Consider something in the line made by BadgleyMischka like the BadgleyMischka Women’s Poise Dress Pump. With those, you get style plus comfort and the kind of shoe that can easily go from daytime wear to evening attire. When buying dress shoes for a man, look for shoes that are classic like wingtips. 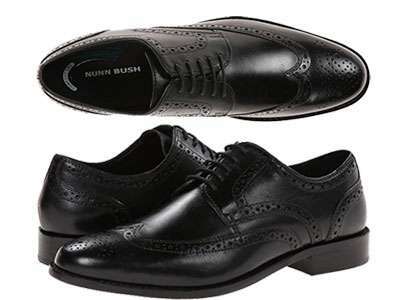 The Nunn Bush Men’s Nelson Wingtip Oxford is a good choice. These are leather shoes that are durable. When buying men’s dress shoes, you’re always better off buying leather. Make sure you stay clear of the high shine men’s dress shoes – unless you know for a fact that’s the kind the person wears. The reason you want to do that is because the more popular men’s shoes are the ones that are leather or have the matte finish. Popular right now are tennis shoes or sneakers, which complete the look. There are many different brands of sneakers and they’re all great, but one particular brand remains on the top seller list year after year. Those shoes are the Converse brand. Under that brand, you’ll find shoes for men, women and children. You can find them in muted colors, bright colors and with eye catching designs. One of the popular sellers is their red sneaker. 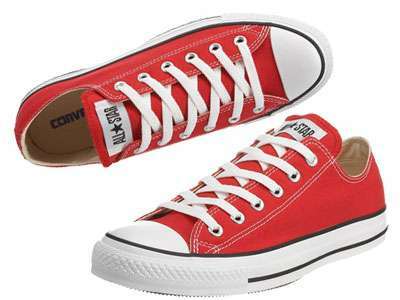 This is the Converse Chuck Taylor All Star Core Ox Red M9696. 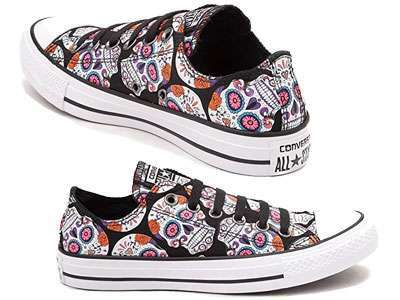 One of their recent releases for women is the Converse Unisex Chuck Taylor All Star Ox Basketball Shoe, and it’s in high demand. 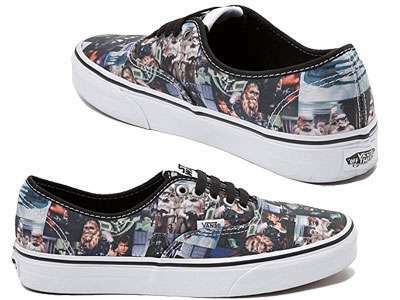 If you have a Star Wars fan among your family and friends, buying them shoes featuring the characters such as the Vans Unisex Star Wars Print Skateboarding Shoes is a good idea. These shows are comfortable and long lasting. You can also find the shoes featuring the New Hope movie version in the Vans Star Wars sneakers that are made for the movie A New Hope and designed to look like the movie poster. Either one of these pairs would make an excellent gift.